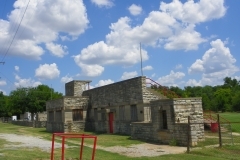 The Sulphur School Stadium is essentially rectangular (139′ x 38′) with a small extension on the back and is constructed of native stone, pre-formed concrete slab blocks and poured concrete. 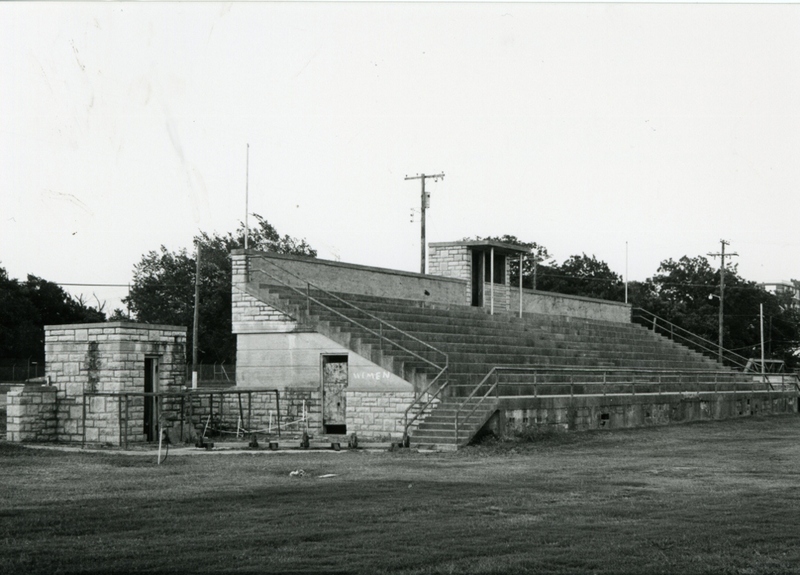 The super structure of poured concrete rises ten tiers to provide stadium seating. Walls enclosing the super structure are constructed of rusticated and randomly laid native stone above and below window openings, while between the stone they are constructed of slab concrete blocks. Single entry doors on the back side on either side of the rectangular extension are covered with a pre-formed concrete roof. Window openings have a decorative continuous lintel and were originally filled with metal encased panes, although presently four are filled with metal inserts. 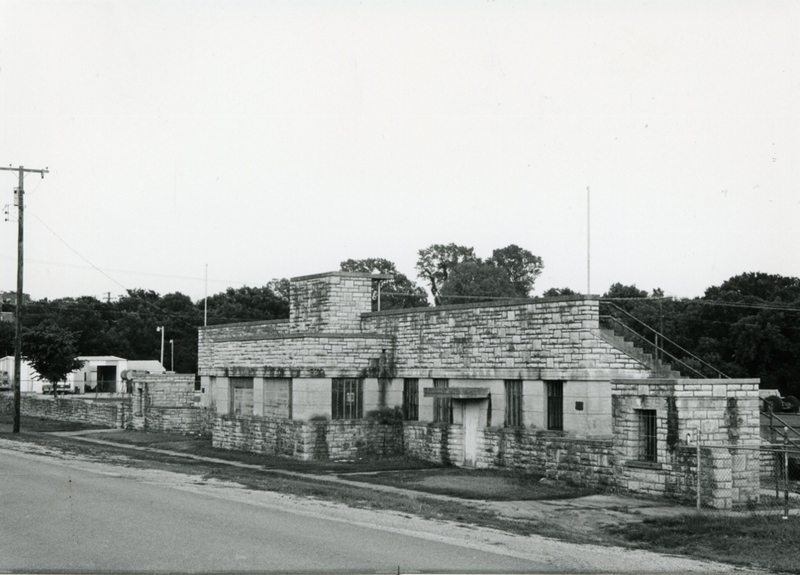 An original press box with a concrete roof is atop the stadium, while two small ticket booths with flat oofs are placed east and west of the stadium. A rock fence some 123 feet in length runs east of the stadium. The stylistic allusion of the building is distinctly art deco, the force of which is not impeached by the minor alteration of wood inserts in some window openings. 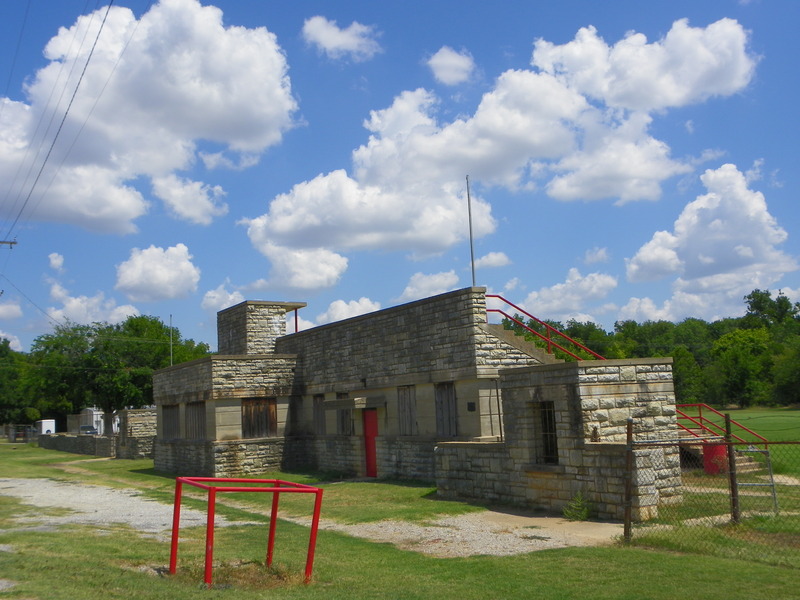 Of all the stadiums built by WPA in Oklahoma, the Sulphur stadium has the clearest reference to an academic architectural style, in this case art deco. That allusion makes this structure particularly significant. Within the community it is unique architecturally in terms of workmanship, materials and type. 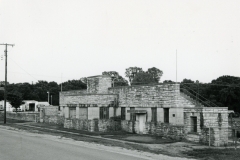 It is notable too because it reflects the wide range of “useful” projects undertaken by the WPA, suggesting the agency’s willingness to see recreational facilities as needful and useful as a school building. 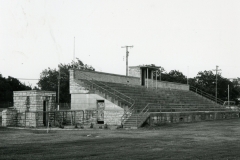 Perhaps more important than anything else, the stadium stands mute testimony to the fact that the WPA provided jobs for the unskilled and unemployed at a time when they were not available elsewhere.